Woo hoo! It’s time for our September competition sponsored by Stackers! Enter our competition for a chance to win a stunning Stackers jewellery box! The gorgeous Stackers Dusky Blue Large Travel Jewellery Box is perfect for keeping your precious PANDORA jewellery safe while on the move. Measuring 9 x 20 x 5cm there is plenty of space for key PANDORA pieces you plan to take on your vacation. It’s dusky blue colour is ultra chic and the soft grey velvet interior will protect your jewellery. Included with the Large Travel Jewellery Box is the Petite Travel Jewellery Box which sits snuggly inside. 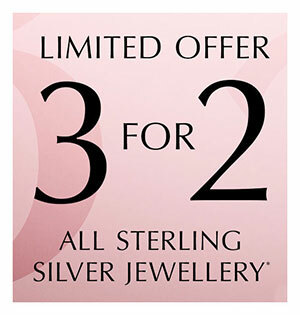 It’s dinky size of 4.3 x 8 x 3.6cm makes it ideal for jewellery essentials and to pop in your handbag! Read our awesome Magazine article ‘A Home For Your PANDORA’ and leave a comment on how you store your PANDORA jewellery. Plus I’m always interested to hear your views on whether you mix and match your PANDORA bracelets or keep them as they are. 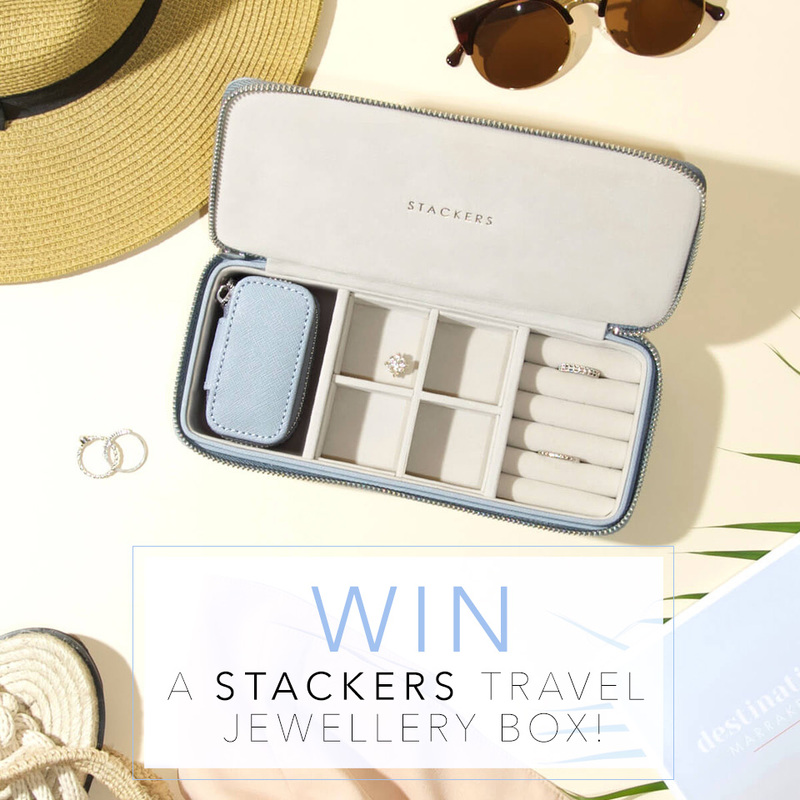 The competition to WIN a FREE Stackers Dusky Blue Large Travel Jewellery Box starts on Monday 24th September 2018 and closes on Friday 12th October 2018 at midnight GMT. Entrants MUST have a postal address within the UK or Europe. 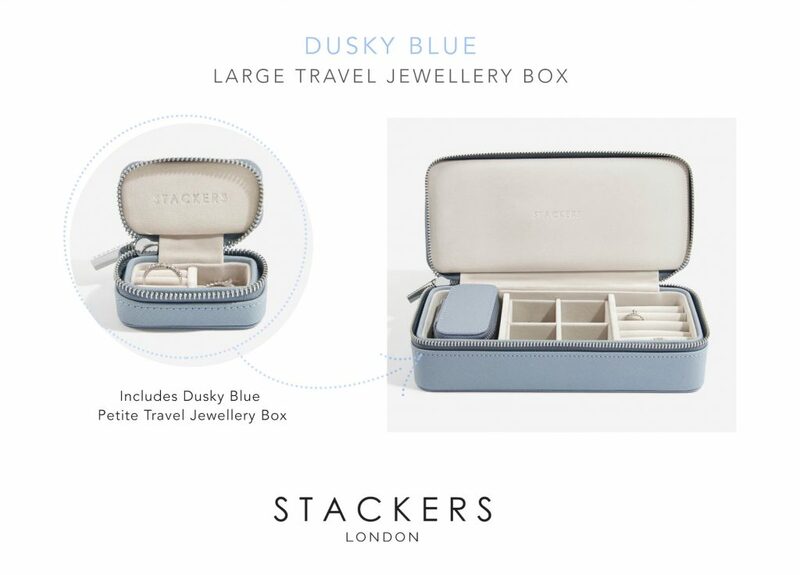 One winner will receive one Stackers Dusky Blue Large Travel Jewellery Box with a retail value of £55. A winner will be selected by a representative from Stackers and announced after shortly after the competition has closed. 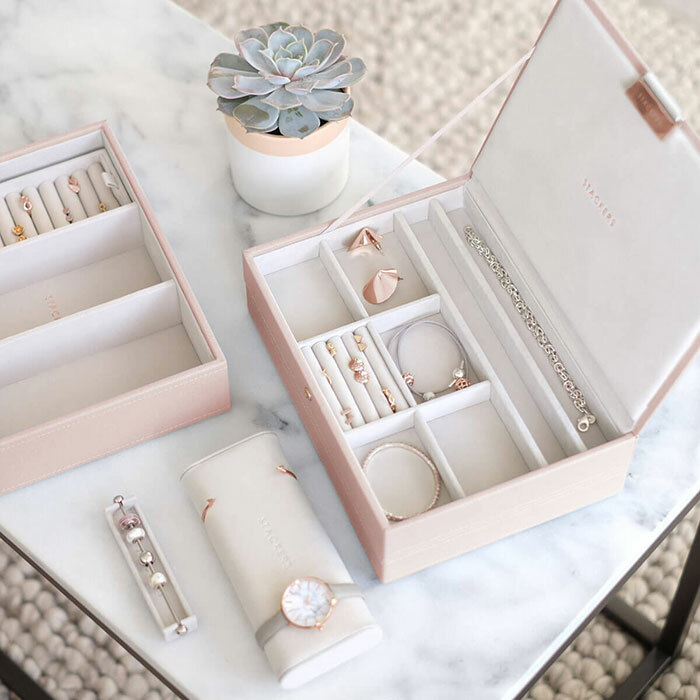 Check out the other amazing jewellery boxes online Stackers.com and if you place an order remember to use the code ‘dora10’ to receive a 10% discount!